The inhabitants of the Hawaiian Islands have a long history of using fire for ceremonies and special occasions, often in a ceremony known as the ōahi. Pyro Spectaculars by Souza is proud to pay homage to this history and help continue the tradition. 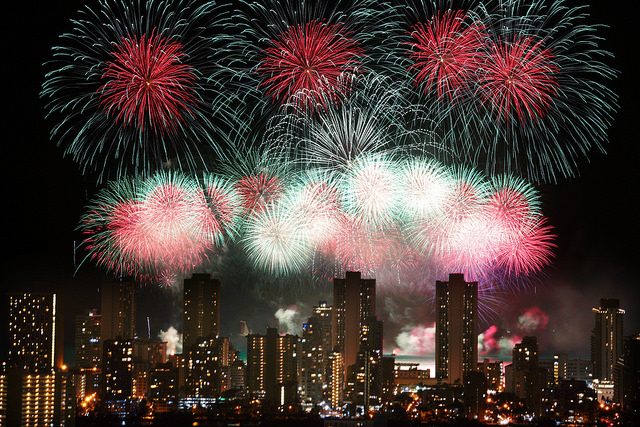 We’ve been producing shows in Hawaii for decades and have the technical expertise and artistry to highlight the islands’ incredible natural beauty with the perfect fireworks show. 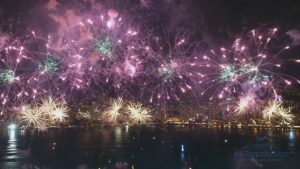 We produce a variety of different show types on the islands, often using low-level fireworks and proximate pyrotechnics to bring audiences in close while dealing with complex spatial concerns. Our experts can find a way to produce a show in even the tightest of spaces. Whether it’s up close and personal with cakes, candles, and mines—or massive aerial displays shot from a barge—Pyro Spectaculars can achieve it. With great beauty comes great responsibility. That’s why we take immense pride in ensuring that all of our shows comply with the strictest environmental standards. We work closely with regulatory authorities to make sure that the show is not only exciting and enjoyable, but environmentally responsible. In 2016, we’re finishing construction on a fleet of fireworks barges, custom-built to allow us one more way to excite crowds in Hawaii. The fleet, named Makana Ke Ahi (I, II, and III) “Gift of the fire,” will be launched and blessed in traditional Hawaiian style. We’re extremely excited about this addition to our pyrotechnic arsenal—and its historic significance—intertwining two important Hawaiian cultural traditions. Due to spatial and environmental concerns particular to the Hawaiian Islands, please contact Pat Dyas when you’re thinking about booking a show. 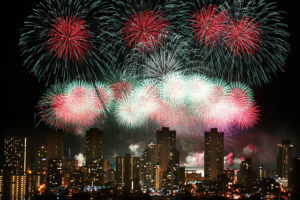 Pat will help you plan the show in accordance with all regulatory authorities and advise you on the types of fireworks best-suited for your chosen location. 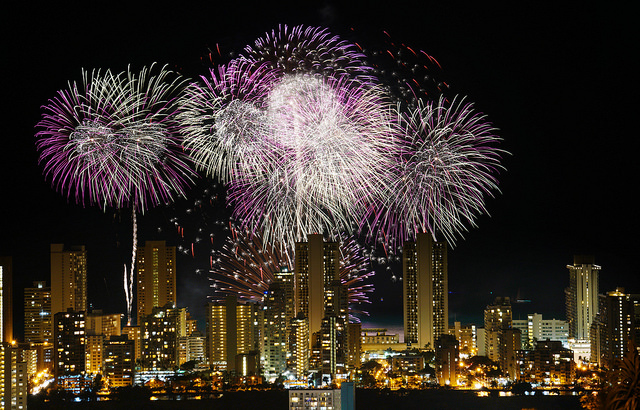 Occasionally, environmental considerations require fireworks displays on the islands to obtain specialized permits from regulatory authorities. As soon as you’re thinking about booking a show, please contact Pat Dyas to ensure that he can get to work obtaining these permits as quickly as possible. Pat is a 30-year veteran of the fireworks industry—and as a show producer for Pyro Spectaculars by Souza—our main man in Hawaii. 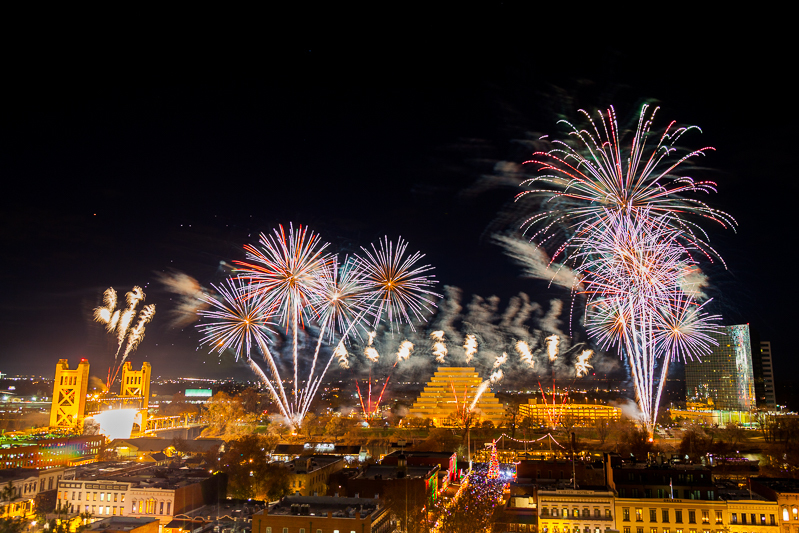 If you’d like to book a fireworks show, or have questions about booking, Pat will help guide you through the process and create an incredible fireworks display customized specifically for your event.